Final Inks on this project. 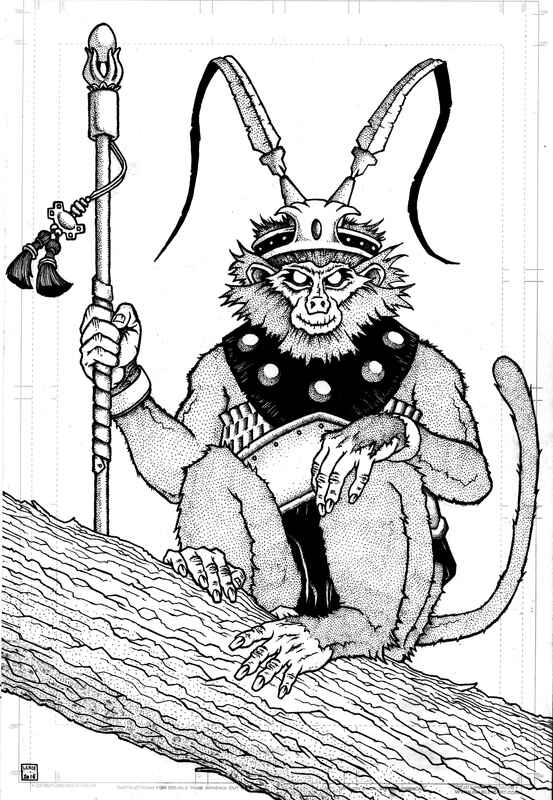 The transfer to pen and ink led to multiple changes here- especially with the 4 hands that Sun Wukong has. Very complex anatomy and angles on a monkey that is “sort of” human… a challenging project indeed. 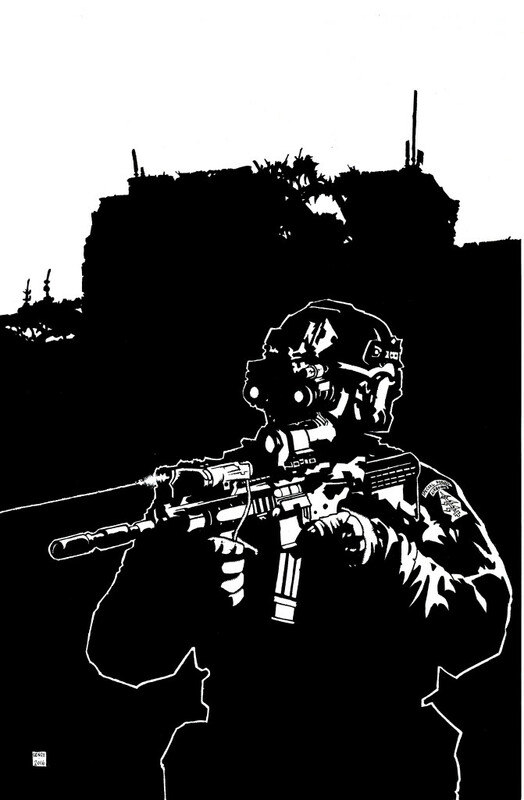 GREEN BERET WITH NIGHT VISION GOGGLES AND HK 416 MACHINE GUN – INKS, CLIENT COMMISSION. 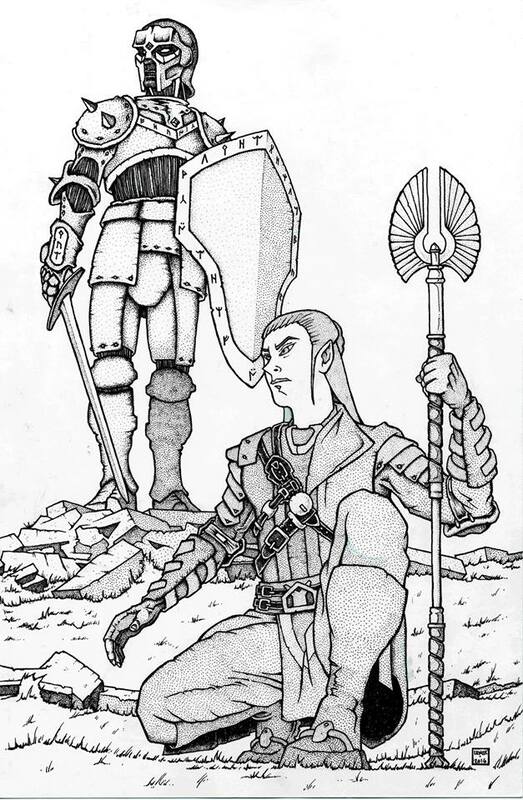 This turned out with the low light extreme lights and darks looks that I intended from the pencils. I always have thought the low light night vision images of soldiers were very dramatic, and I wanted to capture that here. 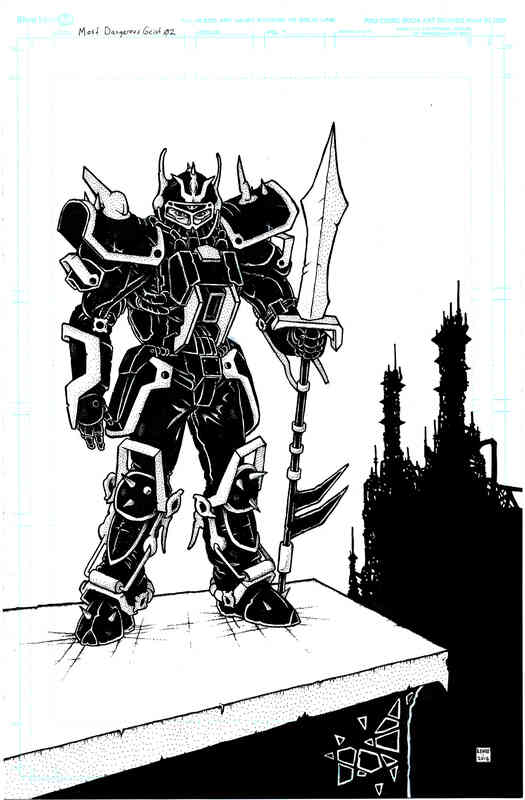 The wrecked building silhouette was something I experimented with in the M.D. Geist art I did here a few months ago. This building outline is more of an integral part of the composition on this piece and this time I went farther with that process than I did on the M.D. Geist image. I think the building outlines in solid black technique is a nice new addition to my inking style. 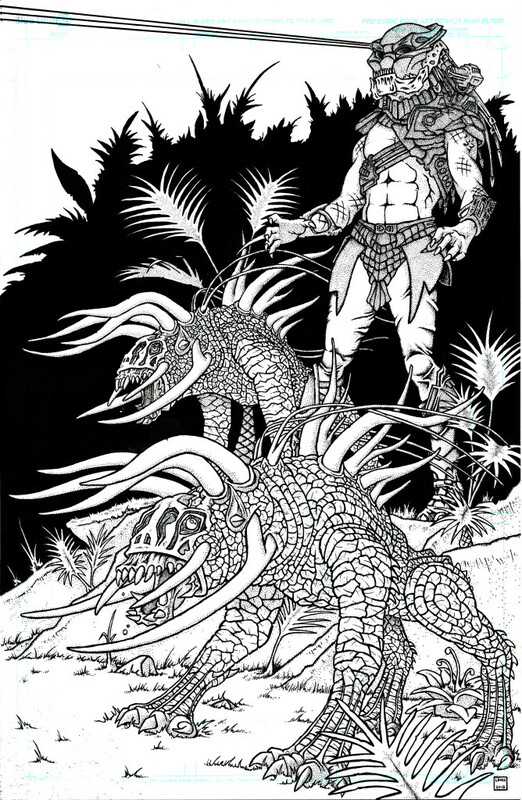 The textures on the hounds proved the hardest part of the entire inking portion of this project- and the helmet on the Predator was also tricky! 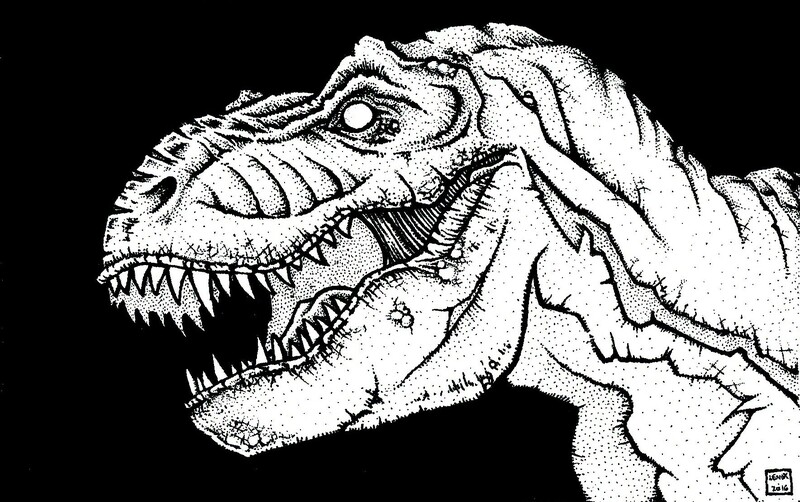 Final inks for this awesome little dinosaur head shot! The black spaces just seemed to make the gore stand all so much more on this ultra violent project! Enjoy the terror of “Crossed”! Really wanted to use my solid black spaces to build an enviroment around this mostly black suit. I was happy with the final result. 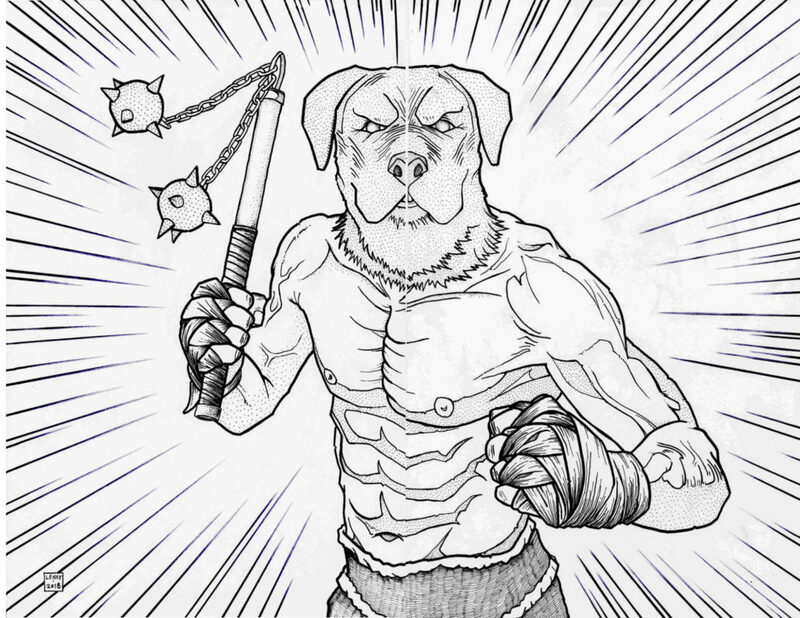 Some fine pen and ink work really brought out the old school RPG look on this artwork! 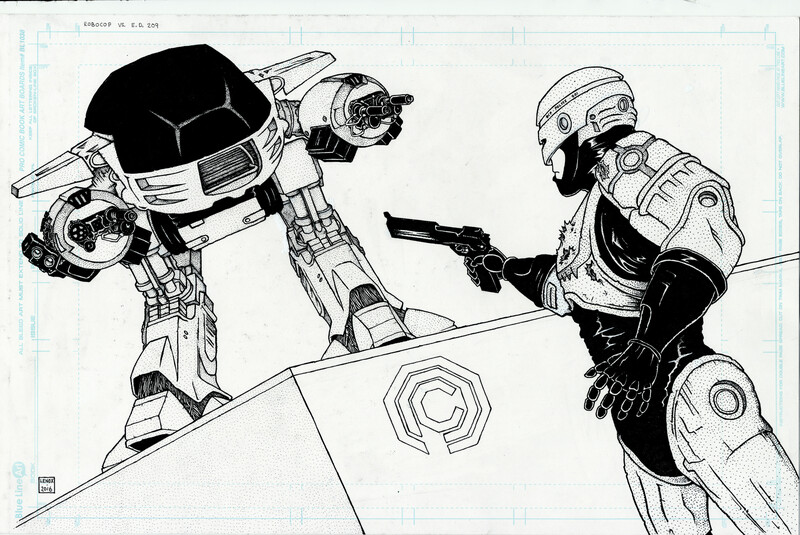 In it’s full pen and ink glory, some of my favorite childhood characters slugging it out…. Who will win? Several weeks of inking…. 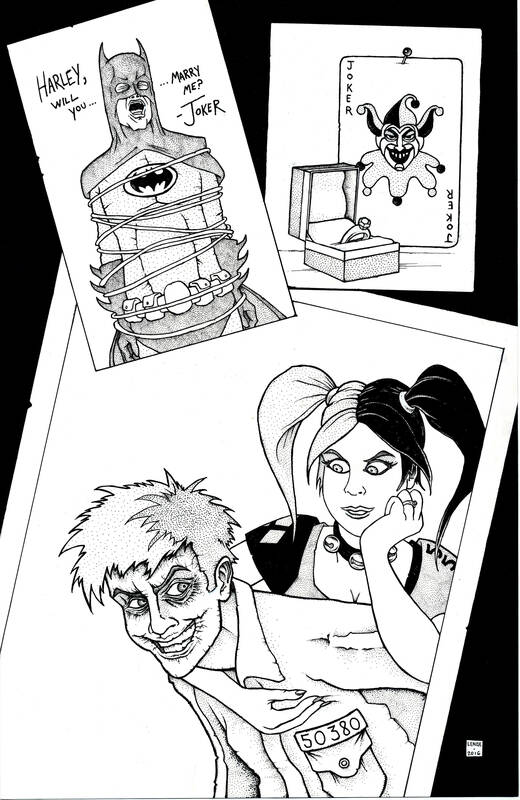 final commission of Joker and Harley! The solid blacks in Harley really brought the inking to life on this piece!